In Ireland, low-input dairy production on pasture with limited labour resources can be viable. On a recent visit to Ireland, Gerhard Uys spoke to farmer Pat Hennessy about how thorough infrastructure planning, good pastures and the correct breed can ensure success. 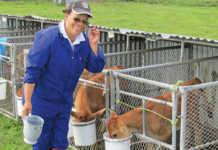 Pat’s farm is equipped with a rotary milking parlour. Dairy production on pasture with low input levels and limited labour can be profitable. But there are two preconditions: the farmer must carefully plan his infrastructure for future expansion, and milk low-maintenance cows. This is according to Pat Hennessy, a dairy farmer from Kilkenny in Ireland. Pat started his dairy in 2015. Before the first cow stepped onto his rotary milking parlour, he spent nearly two years planning operations in consultation with Pearson Milking Technology. Pat produces dairy on 60ha of leased land in partnership with his cousins, Fergo and Mark Rodgeford, who produce milk on another farm. Pat Hennessy has been running his dairy farm near Kilkenny in Ireland since 2015. Different grain varieties had originally been produced on 100ha on the farm, but two years before the advent of the dairy, 40ha were sold off and the remainder converted to perennial ryegrass. “We produce milk strictly on rainfed [dryland] grass. I chose Jersey crossbred cows because they’re low-maintenance, fertile, and have low incidence of foot problems. They also calve easily. My cows average 440kg live weight and I aim to produce their body weight in milk solids in a 280-day to 300- day lactation period,” he says. Because Pat farms on leased land, he receives no direct government assistance, unlike Irish farmers who own their land. He therefore knew that economies of scale would be a factor in determining the dairy’s success. For this reason, he wanted to increase the number of cows in the dairy to 420 over four years, and from the outset invested in infrastructure that would ultimately accommodate this goal. When he started in 2015, he milked 220 cows. He increased this to 320 in 2016, and this year will milk 420 cows. 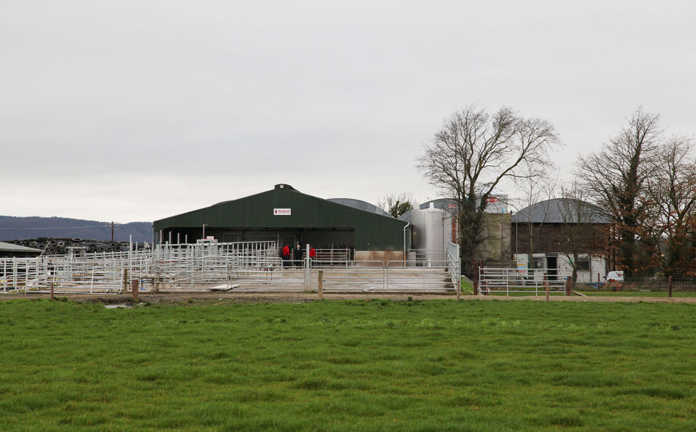 To ensure that his expansion plans were adequately catered for, Pat made sure that the collection yard was large enough, the rotary parlour could handle this number of cows, and the pastures would provide adequate feed. The average rainfall in the area is 700mm/year and the perennial ryegrass pastures meet the protein needs of the cows. As it can rain for up to 200 days per annum in Ireland, the precipitation is spread throughout the year. Apart from a 320kg/year dry ration of grain – comprising mostly wheat or barley – Pat’s cows consume only grass and grass silage. 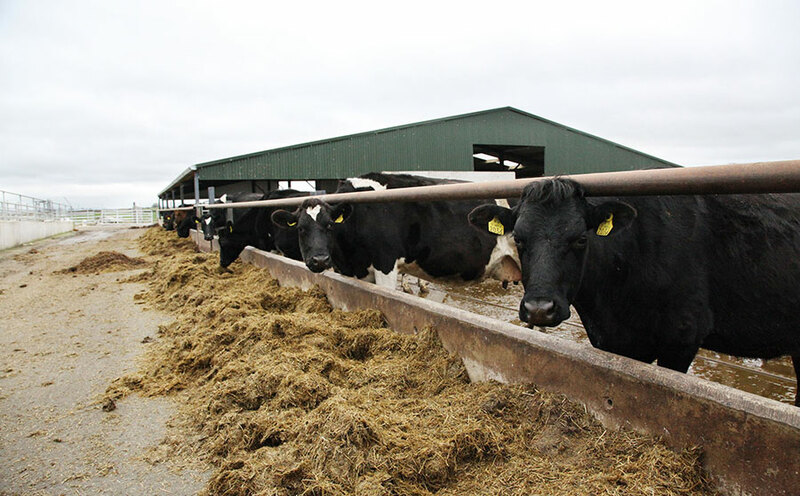 Each eats about 5t dry matter a year, made up of 4,7t grass (silage in winter) and 0,3t grain supplement. 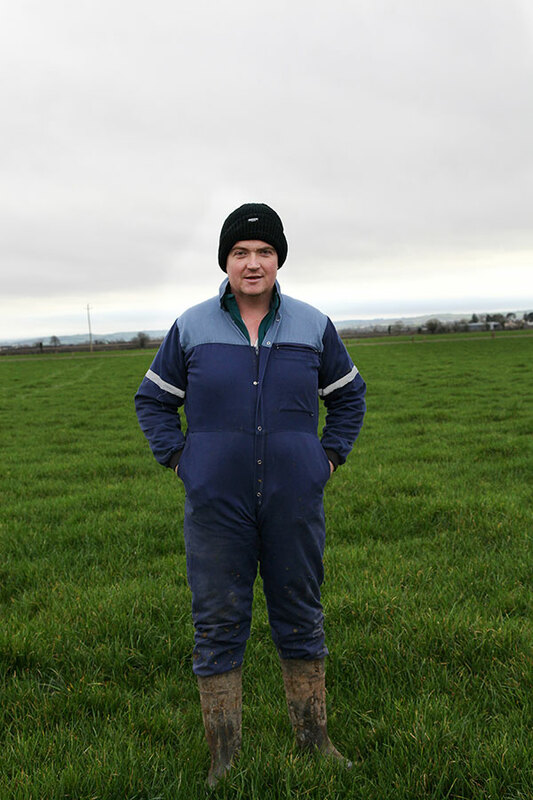 Pat aims to produce about 15t/ha/year grass silage from his pastures. Jersey crossbreed cows are smaller, easier to maintain, have low incidences of foot problems, and are docile, according to Irish farmer, Pat Hennessy. His Jersey crosses are smaller-framed, low-input cows, and according to Pat, the dairy would not have been able to achieve similar results with larger, higher-input cows consuming up to 1,2t grain/year. Grass growth starts in February and March, and peaks in June. Growth reduces from July to August, and in winter – from November to January – no growth takes place. At this stage, the cows are moved indoors and fed grass silage; if kept on the pasture, they would graze the grass down to below the 3,5cm residual growth that Pat aims to maintain. He inspects the camps twice a week to monitor the stocking rate, which currently stands at 3,2 cows/ha. “In spring, we follow a specific rotation planner. From 1 February to 17 March, we graze 60% of the farm. From 18 March to 1 April, the remaining 40% is grazed. By April, there’s sufficient growth to meet the demand of the herd, and they’re then put completely on pasture. If there’s surplus, we make silage for drier times,” he explains. The pastures are heavily fertilised at 250kg nitrogen/ha/year. Pat breeds his own bulls, mainly using artificial insemination (AI). 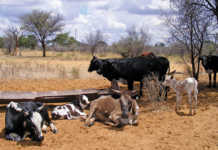 The breeding season is 12 weeks, with AI used for six to nine weeks, and a mop-up bull for the remainder of the period. Bulls are chosen from his own herd and kept if they show promise; the rest are sold for slaughter. Pat says that his ideal is the ‘invisible cow’: the animal that he is unaware of because her yield stays constant and she remains healthy. 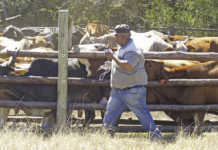 A cow that skips a single calving is culled, as the farm cannot carry any ‘passengers’. His herd has a 94% calving rate. The current milk price in Ireland is about €0,25/ℓ (about R3,40/ℓ). As Ireland exports large quantities of milk, producers are penalised for high water content. Most milk is dried and exported in powder form, or as cheese and butter. Lactose content is also measured, and although farmers are not paid for it, milk processors can sell lactose to pharmaceutical companies. These use it to sugar-coat tablets, for which there is an increasing demand. “Years ago, cheese and protein products, such as whey, were a by-product. Now they’re the money-makers. Farmers are not paid more for them, but benefit from higher fat and protein content. If the milk price is, say, €0,25c/ℓ, and you’re paid a base rate of 3,3% for protein content and 3,6% for fat solid content, you receive €0,06c/ℓ [about 80c/ℓ] more if the protein content is 3,4%. Our aim is to push the fat and protein content up as high as we can,” Pat explains. The average butterfat content of the milk on the farm is 3,89% protein and 4,2% solids. Pat follows a standard vaccination programme, and vaccinates against salmonella, infectious bovine rhinotracheitis (IBR) and leptospirosis. However, tuberculosis (TB), for which he cannot vaccinate, is a serious concern to him. Herds are tested for TB annually and any sign of the disease precludes a farmer from supplying milk to processors. As a preventative measure, drinking cribs are placed high off the ground so that animals such as badgers cannot gain access to them. A tanker collects milk from the dairy every second day and delivers it to a processor where it is tested for butterfat and protein content, the presence of antibiotics, somatic cell count, urea levels, lactose and any water residue. The presence of antibiotics is arguably the greatest concern for Irish dairy farmers. Farmers receive test results two or three days after delivery. Legislation in Ireland requires the somatic cell count to be below 300 000. The milk from Pat’s dairy averages 140 000. He closely monitors udder health and remains vigilant for any sign of mastitis. Teat seals are also used during a cow’s drying-off period to prevent any bacteria that can cause mastitis. A disinfectant teat spray is administered to each cow by the milking unit after milking. A mechanised scraper is used to clean the yard after each milking. Keeping cows free of stress is a priority; stressed cows have elevated cortisone levels, which make them more susceptible to illness and lead to increased somatic cell counts. According to Pat, the rotary parlour with its low noise level and ease-of-use assists in keeping cows stress-free during milking. Milking machines are also checked regularly for stray voltage to prevent cows from receiving electric shocks that can induce stress. Digital meters are used for this purpose. ‘Dancing’ or kicking are signs of electric shock, while excessive dung could indicate stress. Access to land is a major difficulty in Ireland, according to Pat, and this has limited the expansion of his farming enterprise. He believes that a dairy farm can be viable with fewer cows if run efficiently, as the extra cost of a single additional worker could increase overall costs by €35 000 a year (about R480 000). To cover this cost, he would have to milk more cows, but he is restricted in this regard due to the unavailability of land. Email Pat Hennessy at [email protected].